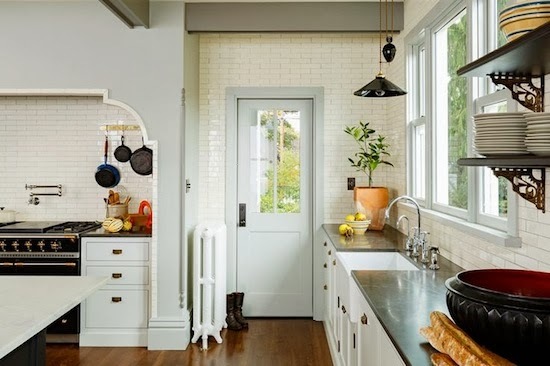 I've blogged before about projects from Jessica Helgerson and her design team based in the Pacific Northwest but one of her recent projects absolutely needed to be featured here. 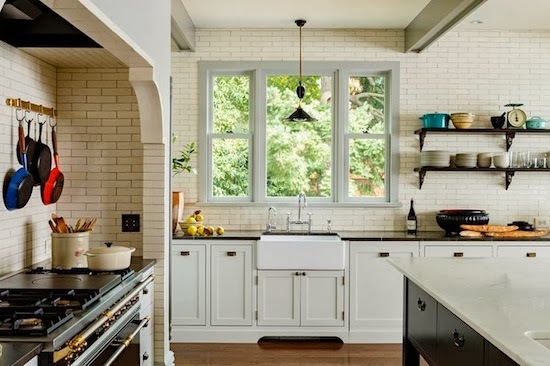 This project, re-imagining a Victorian kitchen for modern use, is executed to perfection. 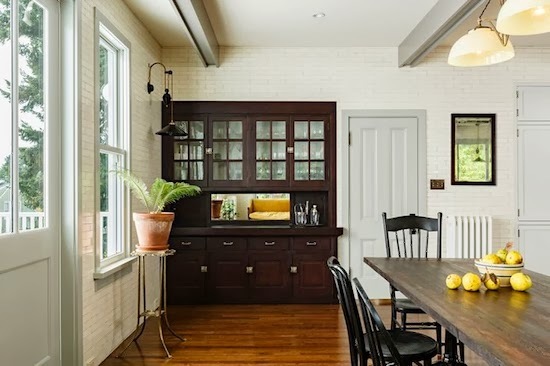 All the style elements of a subterranean kitchen from the 1900s, brought upstairs for homeowners of today. The floor to ceiling subway tile partnered with built-in storage and light fixtures bring to mind the workplaces of days past. The long farmer's table and black wooded chairs also evoke what would have been placed in staff dining rooms. 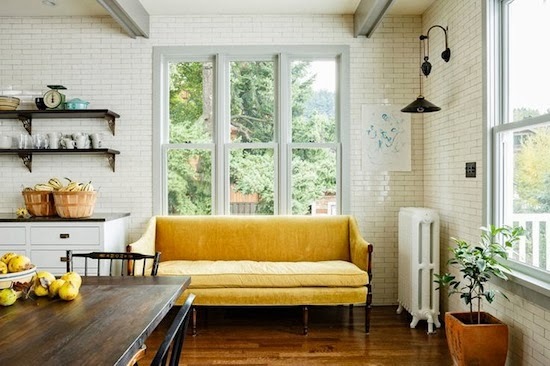 And let's not forget about the yellow settee, the perfect place to sit with a good book or the Sunday newspaper.